What is Acupuncture? Acupuncture can be defined as the stimulation of a specific point on the body which will result in therapeutic effect. The ancient Chinese found 173 acupoints in animals and 361 acupoints in human beings. When these points are stimulated, it causes the movement of Qi (chee) that is life force or vital energy. This movement is necessary for life, and any illness, pain, disease, stress can cause a blockage of this movement. Acupuncture stimulation resolves this blockage, freeing the flow of Qi and enabling the body to heal itself. Acupuncture sessions are often accompanied by the use of Chinese Herbal medicines, which can accentuate the healing and are often tolerated as well, or better, than Western medicines by some individual pets. Acupuncture is a very safe medical procedure, that is performed only by licensed veterinary acupuncturists. Dr. Jones has had her CVA (Certificate of Veterinary Acupuncture) for over three years and uses acupuncture daily in her practice. Acupuncture doesn't hurt, and in fact, most of our clients fall asleep during treatments. The initial treatment is often a bit worrisome for the pet, because they do not often associate visits to the vet as being a time of relaxation and "feeling good". But after a few sessions, often we have our patients dragging their people back into the hospital for their therapy sessions! Treatments tend to last about 20-40 minutes, although the first session will be at least an hour. Housecall acupuncture sessions are also available and priced accordingly. Acupuncture is very useful for all maladies, but our primary clients are our older friends- the ones with arthritis and orthopedic issues. Acupuncture is also helpful in incontinence and gastrointestinal problems and can even help with anxiety, epilepsy and allergies. Acupuncture is complementary medicine, meaning it can be used alongside of any western therapies you are presently using, without any ill effects. Acupuncture works WITH the body to help heal the body from within.  Dr. Jones is well-versed in combining both western and eastern modalities to create the best approach to keep you pet healthy and happy for as long as possible. See our recent article in the Chesterfield Observer featuring Dr. Jones!